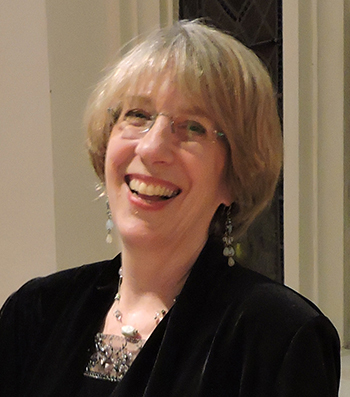 Mezzo-soprano Marjorie Melnick, Senior Lecturer in Voice, has been on the faculty since 1999. In 1985, as a member of the Opernstudio Zürich, Ms. Melnick made her debut at the Zürich Opera under Nello Santi and that same year won a solo contract at the Saarländisches Staatstheater in Saarbrucken, Germany. She spent many years singing opera, oratorio and recitals in Europe. Her leading roles include: Rosina in The Barber of Seville, Cinderella in Cenerentola, Octavian in Der Rosenkavalier, and Hansel in Hansel and Gretel. Ms. Melnick has taught at Smith and Mt. Holyoke Colleges as well as the Hartt School in Hartford, CT. She has a Masters in Music from the Juilliard School.